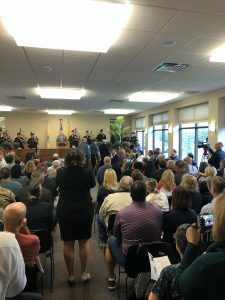 On Tuesday, September 11th members of the Mantua Township Fire District gathered with other first responders, township residents and officials to remember those lost on September 11, 2001. This year the event was held inside the Mantua Township Municipal Building, rather than the place of reflection, due to inclement weather. Lt. Michael Nahas participated in the ceremony, by ringing the bell to commemorate all first responders lost that day. Lt. Nahas was specifically chosen for his service to the United States Army. As always, the Mantua Township Fire District would like to thank the Mantua Township Committee for holding such a respectful ceremony and we will always remember those lost that day. 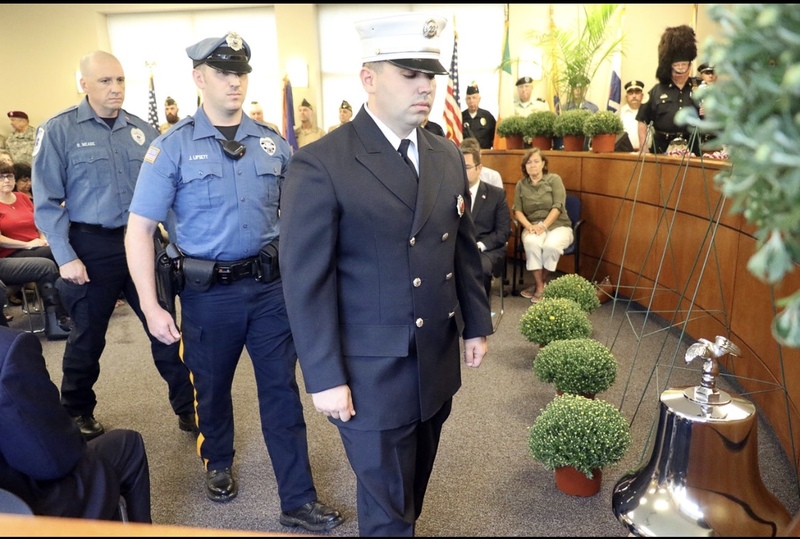 We would also like to thank the Woodbury Fire Department and Glassboro Fire Department for their assistance with providing the flag draped archway for the entrance into the Municipal Complex.